If you have recently failed at something, then this post is for you. Over the past few days, I’ve been fighting this uneasy feeling recently, something in the back of my mind, uncomfortable, a sense of lacking, difficult to describe, but it sure feels very real. Failure, is that you? 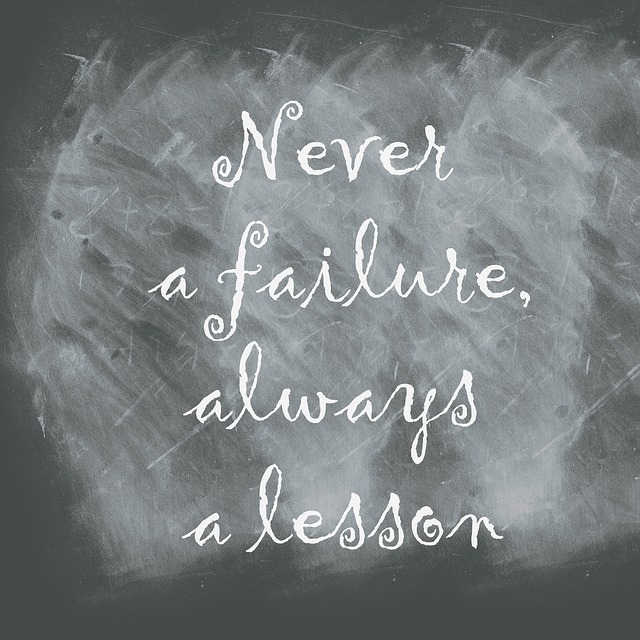 Before I can be sure, I need to examine failure a little more closely. 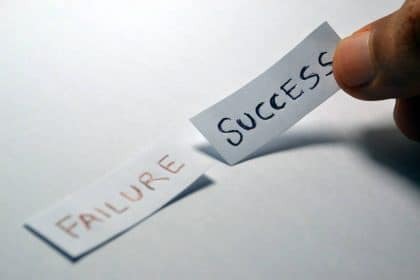 The common perception of failure is that it has a negative association, it is seen as the opposite of success. In fact the very definition of failure is “Lack of Success”. A more general definition of failure is when I do not achieve the goals I set out to obtain. But many of the most aspirational people look at failure as something to be celebrated, because we fail, fail, fail…..succeed. So failure needs to be looked at beyond the surface definition. Failure can be defined as not achieving what I set out to do (goals), the fact that I defined what I was aiming to achieve, makes it more like a relative concept, a mental construct. It is more like hot or cold, big or small, it is highly dependent on what you are comparing it to. Failure can be a success in itself and so can success be a failure when aspirations are not high enough. It commonly quoted that the difference between the master and the apprentice is that the master has failed more times than the apprentice has tried. So is failing something positive? …should I rather be a fabulous failure? The idea behind being a fabulous failure is to set goals high, fail often, fail more quickly, grow more quickly. Be a fabulous failure. So if I target 3hr30 and get 3hr45, that is more of an achievement that targeting 4hrs and getting 3hr55. Of course as my goal is to complete a marathon, does the time even matter? What if in my pursuit of a faster time, I get an injury or fatigue and do not complete the race? In the past people have advised me, that I should have the persistence of a Toddler learning to walk when trying new things. If toddlers experienced shame when learning to walk, they may give up. To me this is a bit like saying I should keep swinging and hope? But, I’m not a child. I can think things through, I can leverage my experience. It is not just luck required. I can plan ahead. The process of writing the plan is important, the plan itself less so. Planning itself is guessing, but without a plan, I have no idea. So, I use a plan as a baseline, something to inform my decision making, to guide me. While taking luck out of it is perhaps impossible, it is important to have a plan that has the most options or at least mitigates the most obvious risks. So if failure is a conceptual construct and luck plays a big role…. …why is it so uncomfortable? Failure in itself is not a state, well perhaps it is, but that is not what makes me unconformable. I’ve worked on projects that were a success because that is the message we carried with us. A conscious decision. It’s the feeling associated with failure that is what is needed to be avoided. So I need to shake that feeling first. All, very (mildly?) interesting, but so what? It is the feeling or fear of failure that seems to have the most power. In mindfulness (and fairy tales), naming something takes its power away. So I name it and ask myself where the feeling is coming from. An innocuous message can trigger it as a fleeting thought, then it’s gone, well the thought is, but the feeling persists. Naming it as “hello Freddie Failure” immediately erodes it’s power. The amount of success (however defined) will be exponentially proportional to the level of failure I am prepared to risk and embrace. Celebrate at least 3 successes a day. Fist pumping moments. I am learning to see life through a different lens. My brain is trained to scan for the danger (negative), it’s time to re-train it. Build upon what worked. Rather than what failed. I am never going to mitigate every risk or eventuality, I cannot plan for everything. That doesn’t mean I shouldn’t consider what is likely to go wrong, but it is more a recognition that how I react is more important. Let go? – Ask myself, “Have I let it go?“. On some occasions, I may be able to do it simply, then move on, or I may need to examine it a bit longer. Awareness is the first step in learning and growth, so it is a good place to start. So what does failure mean to me? – If I cannot hold my head up high afterwards and I am not a better person, that is a failure. The rest is a feeling that I can acknowledge and move on. Hello and good-bye Freddie Failure. ← You Need to Learn to Prioritise – Great “advice”, but what the hell does it mean?